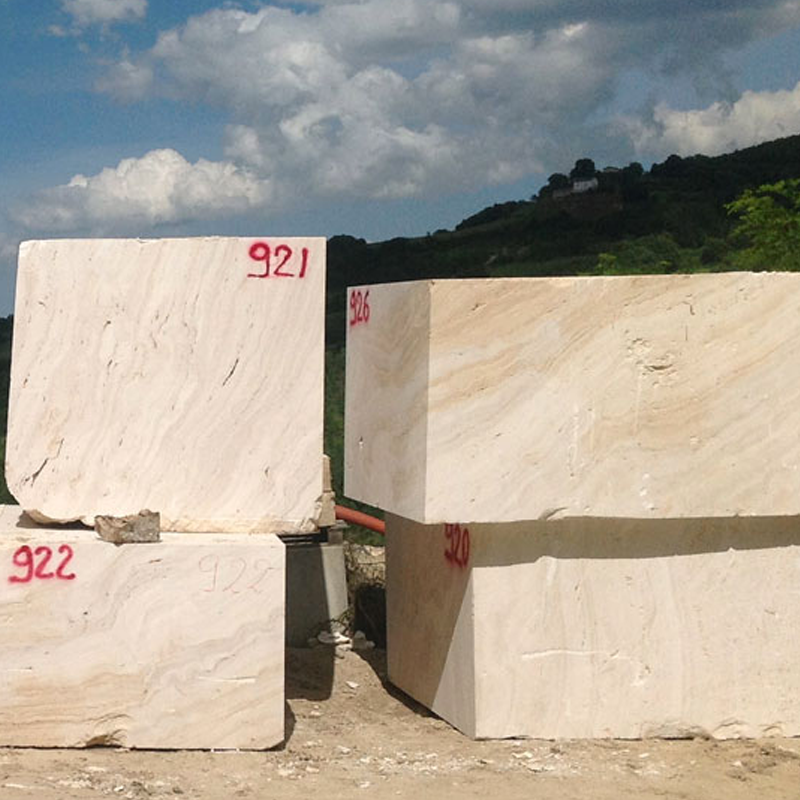 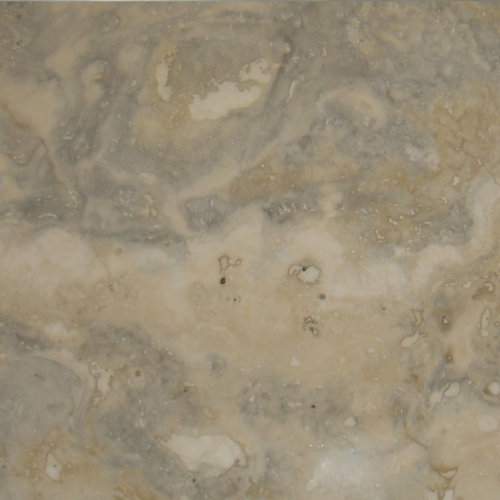 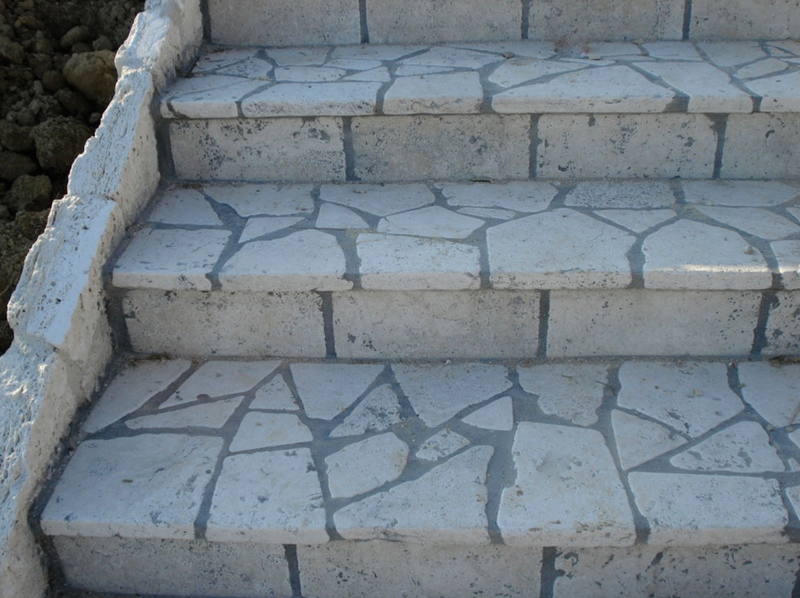 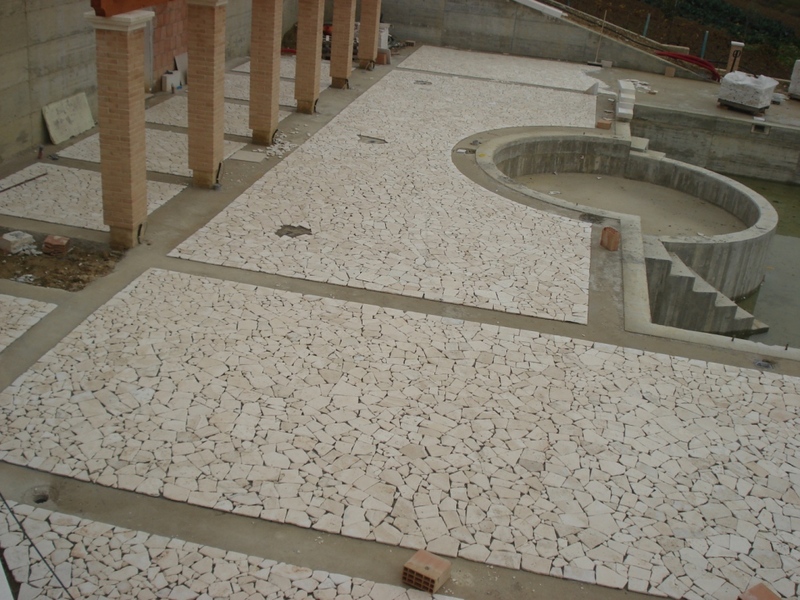 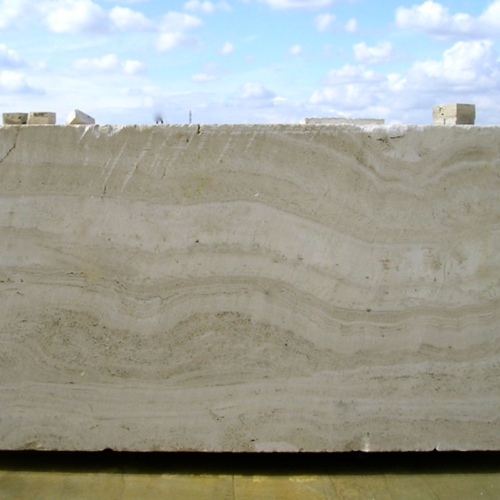 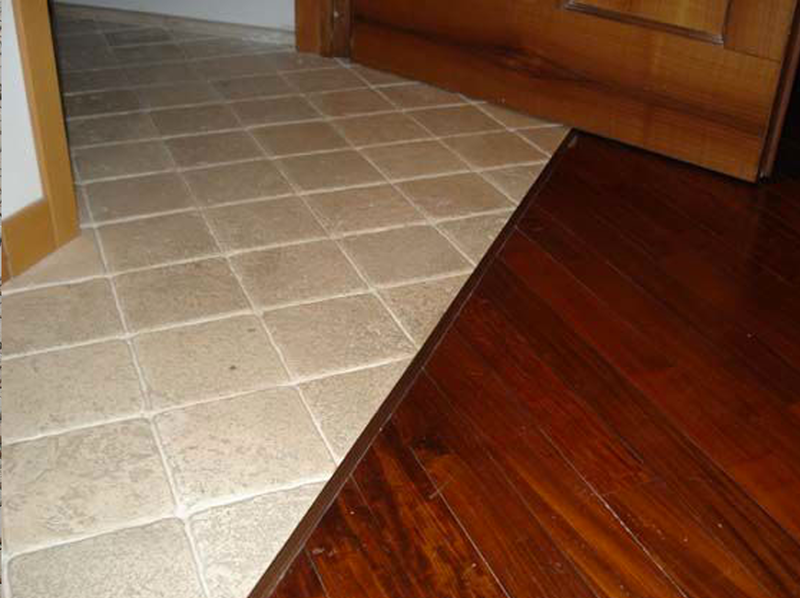 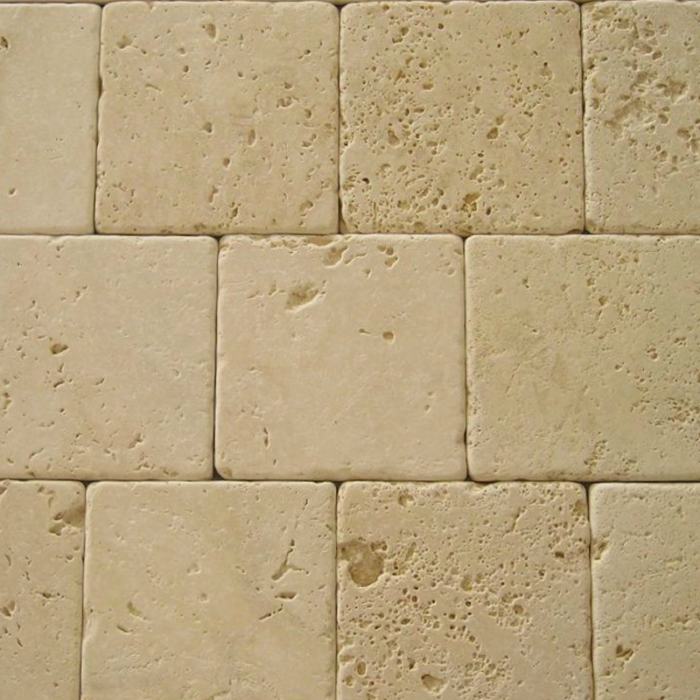 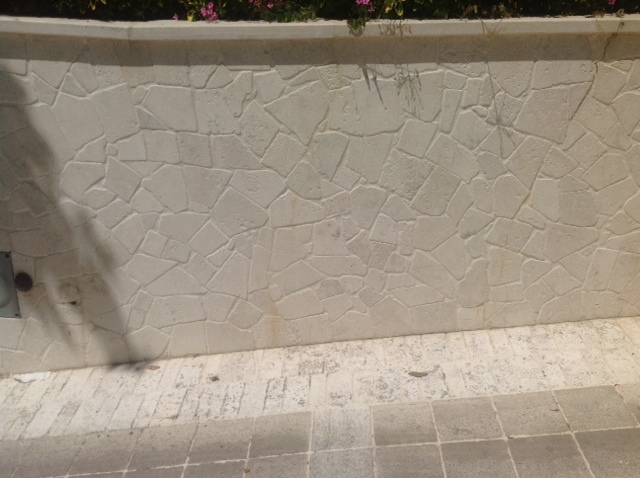 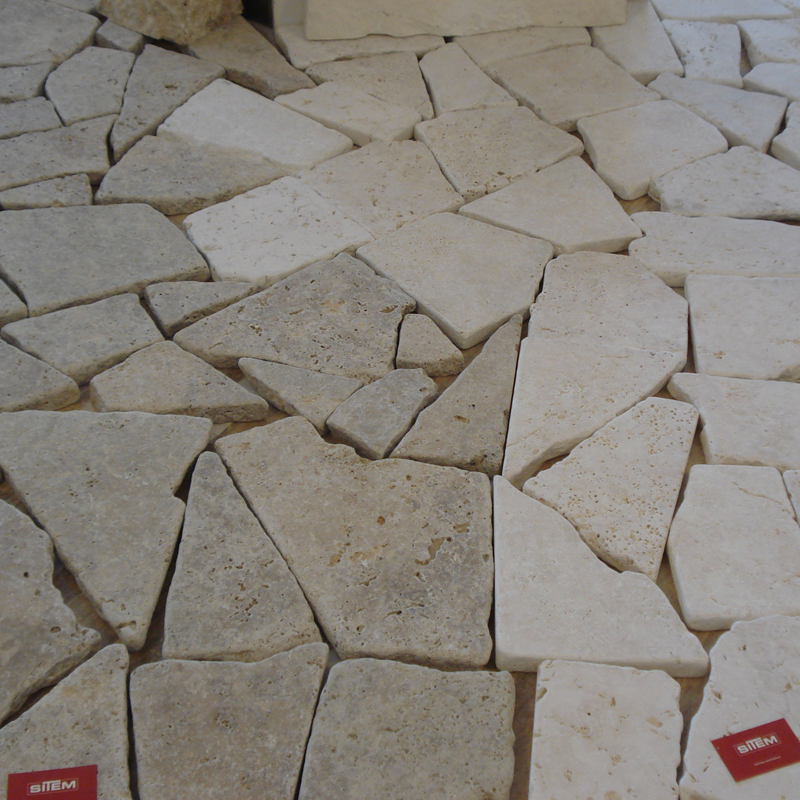 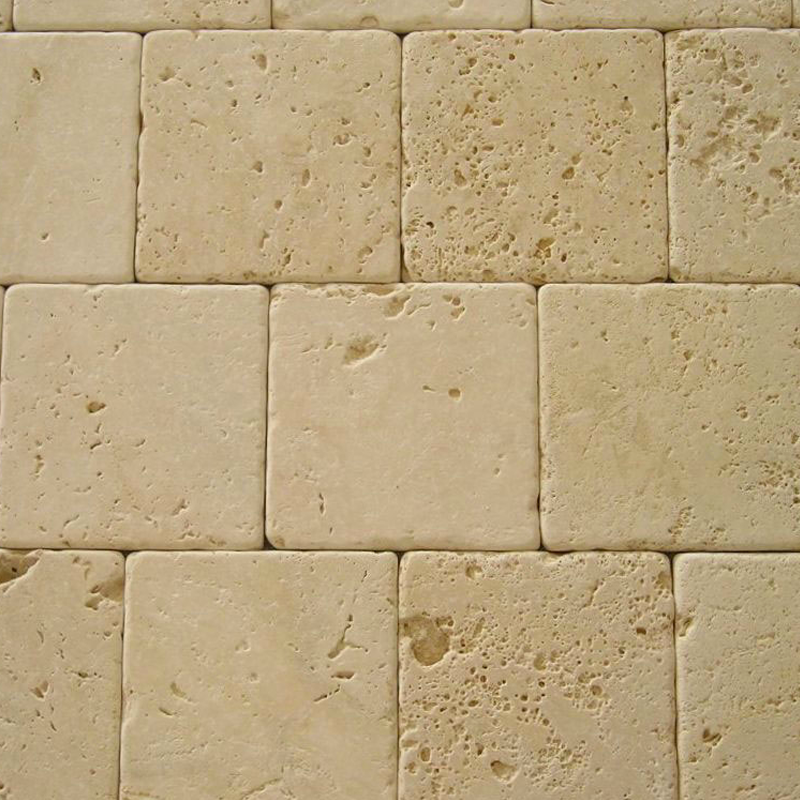 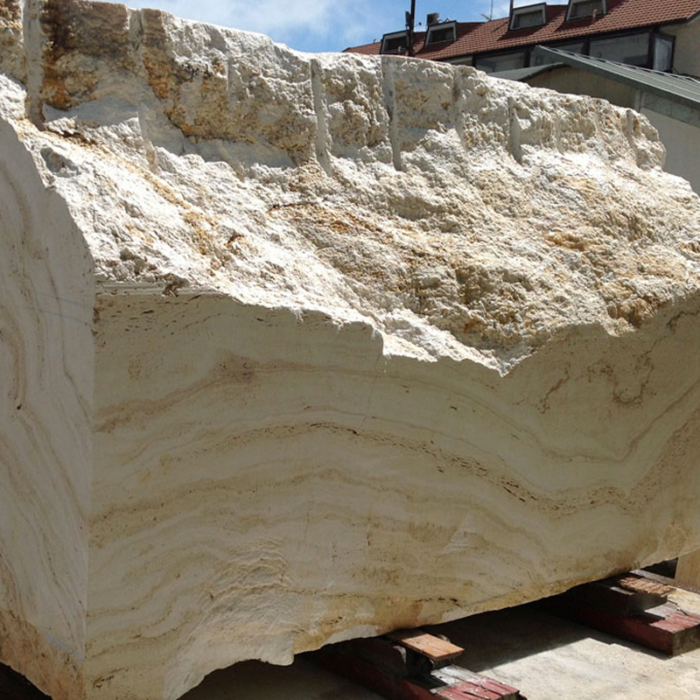 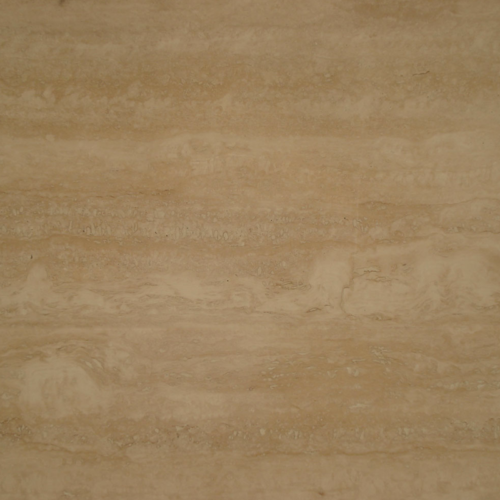 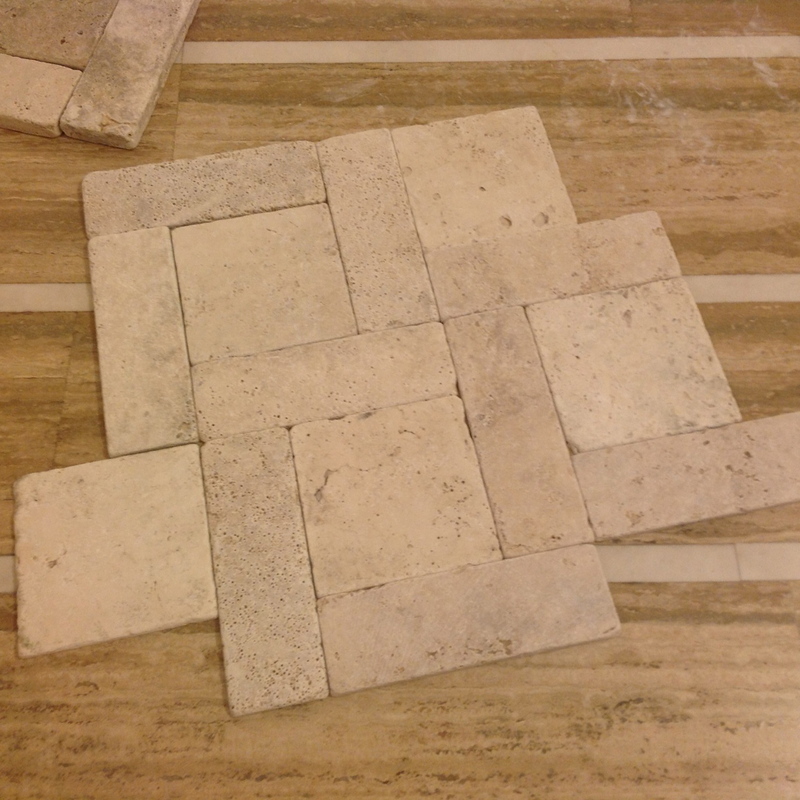 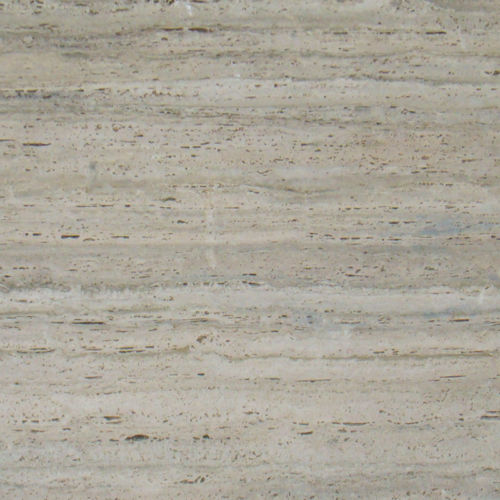 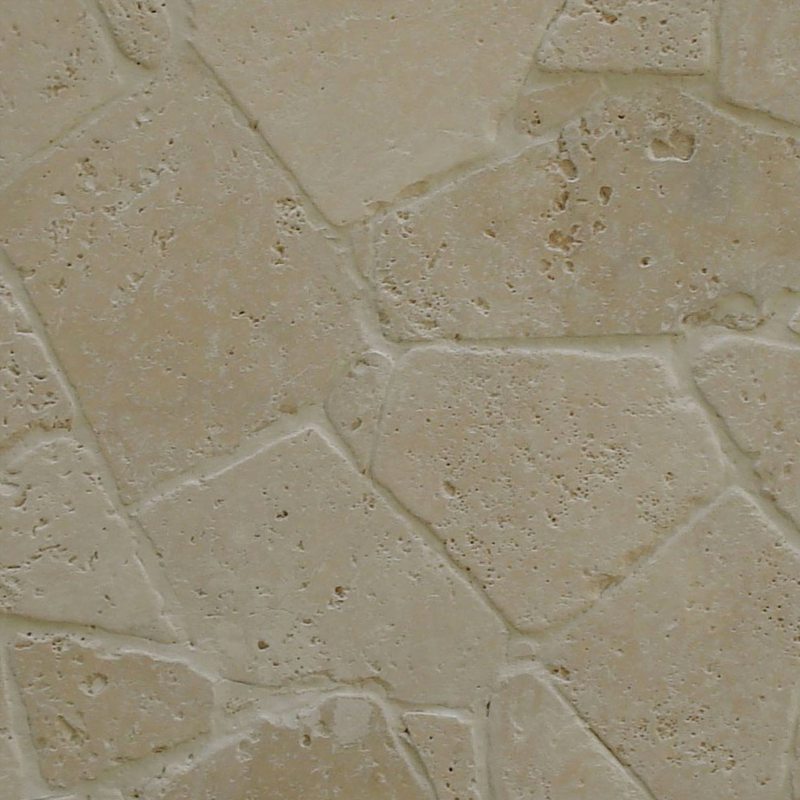 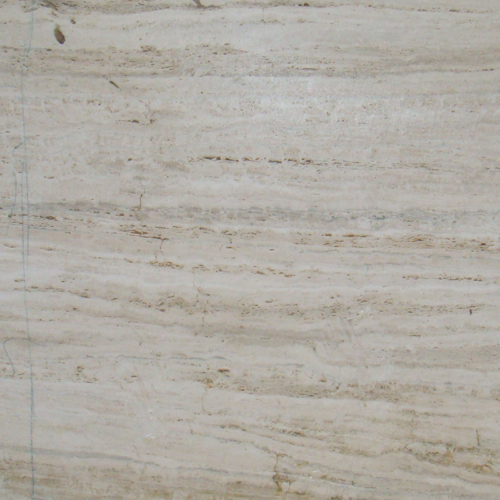 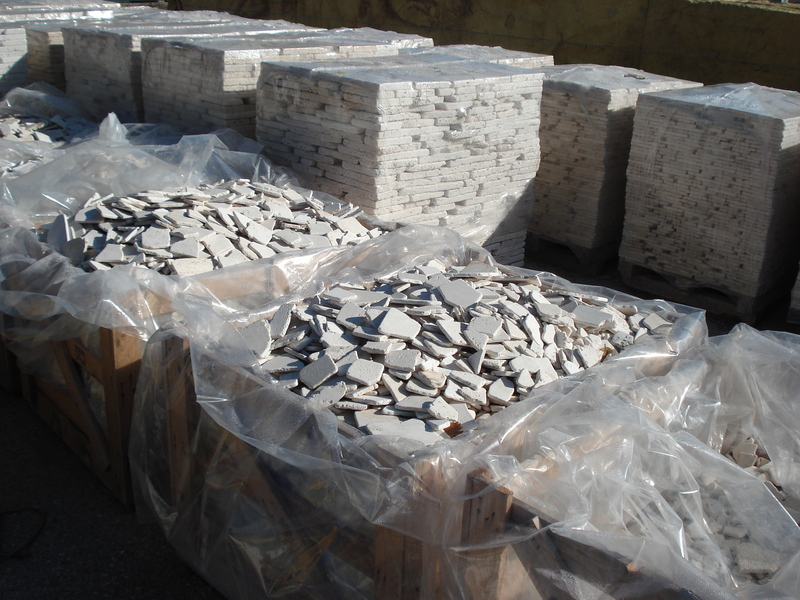 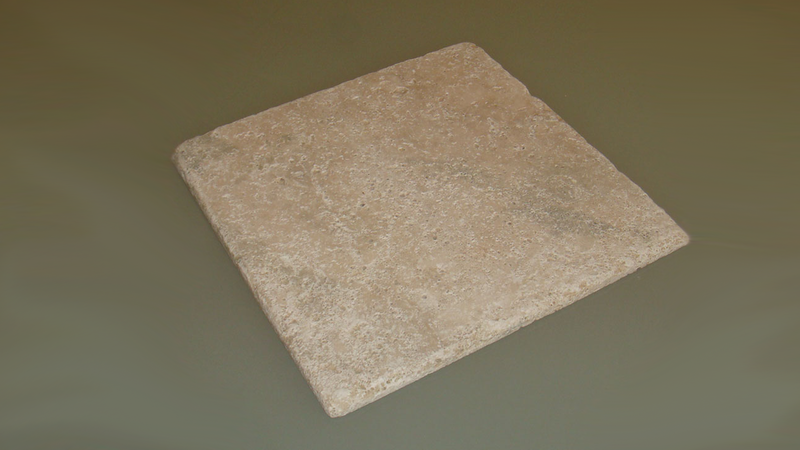 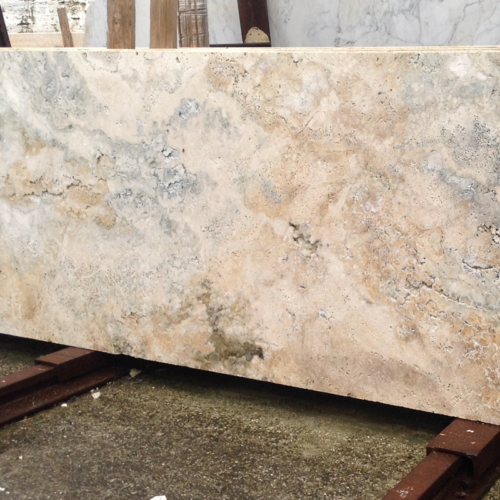 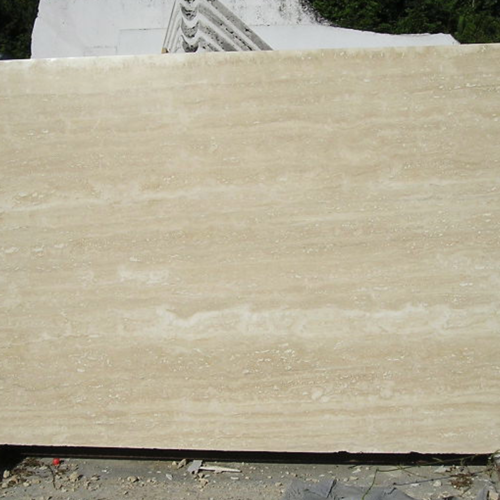 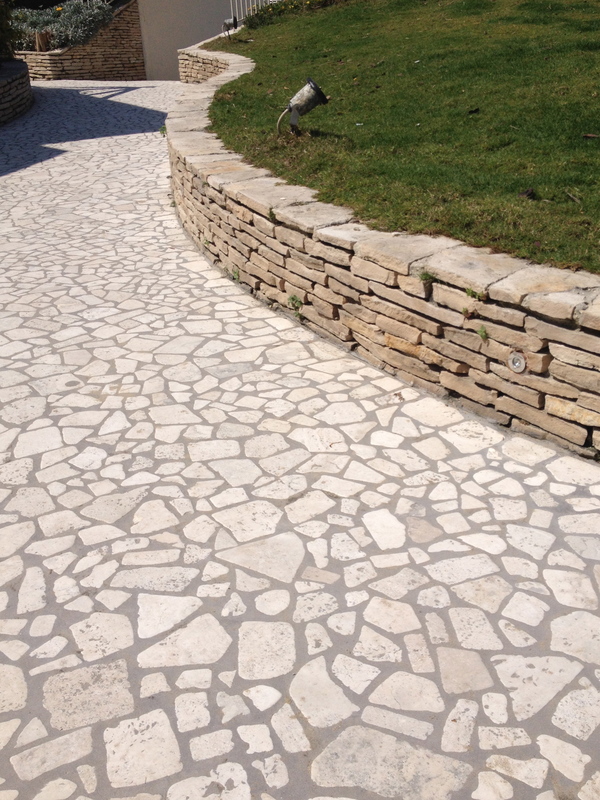 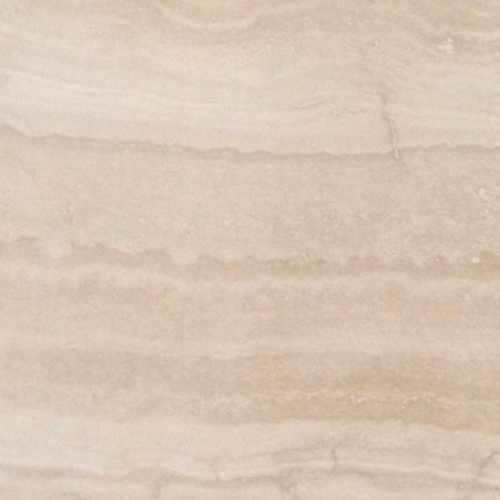 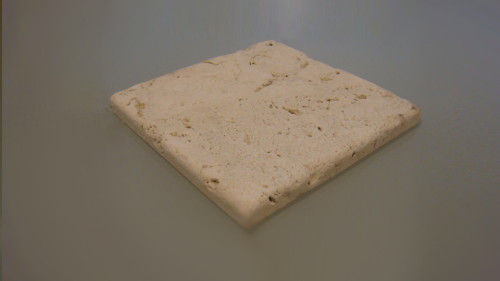 Tumbled chiaro travertine. 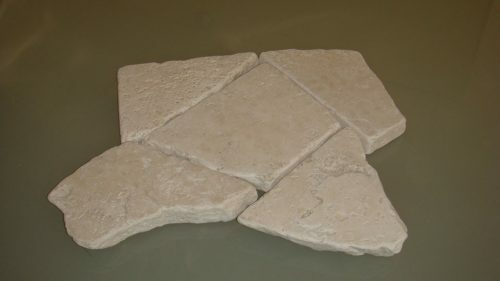 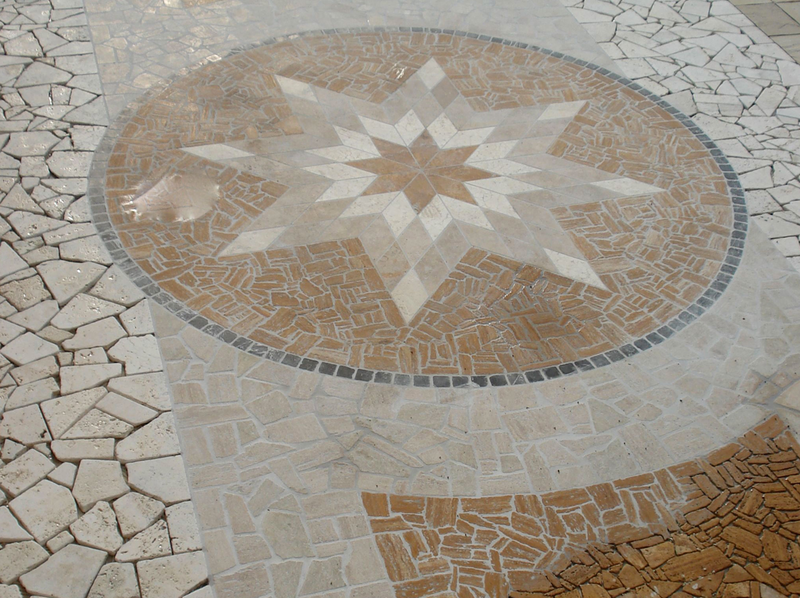 The tile’s and palladiana surfaces are already consumed by time and the edges are rounded. 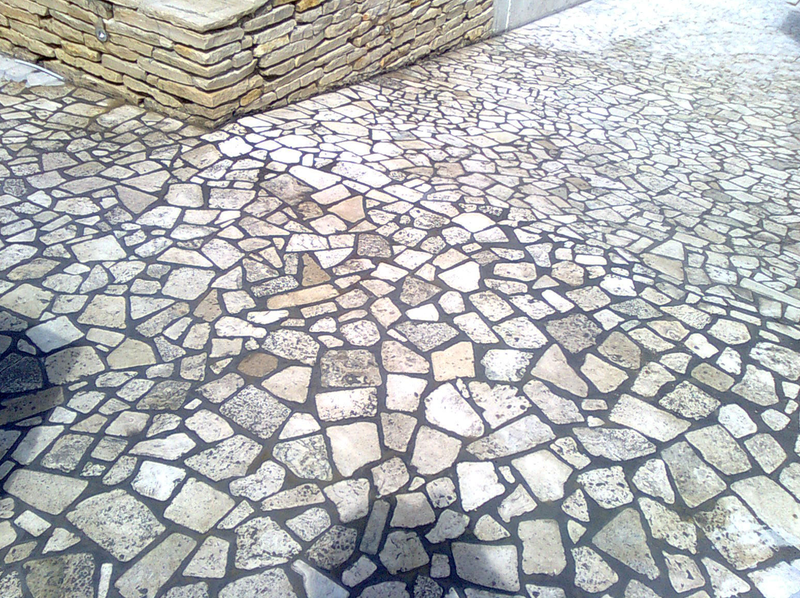 It is ideal for rustic and outdoors. 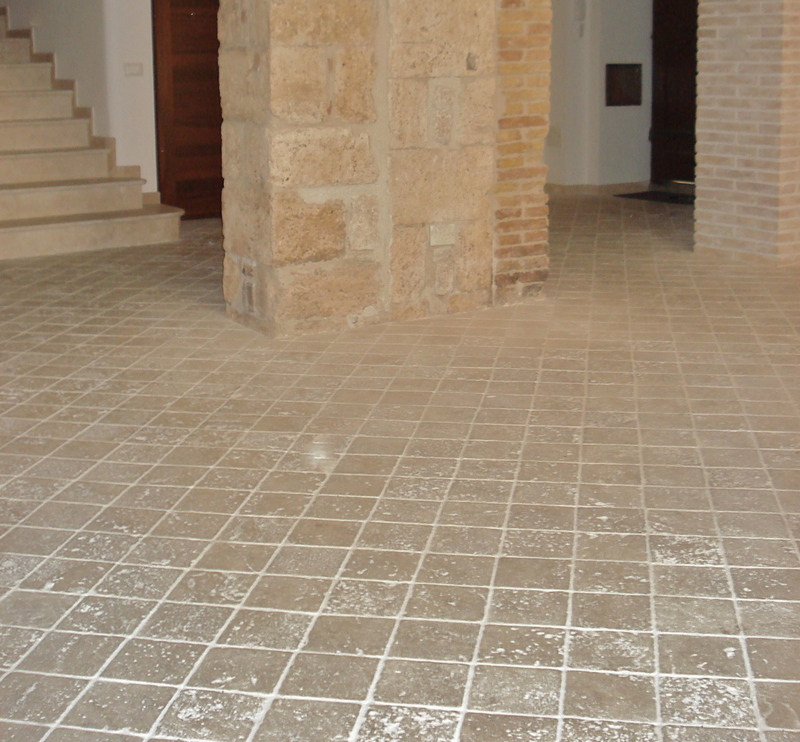 With a second treatment, the material will be also brushed; the color will be more lively and the final effect, obtained by brushing, unique!